These Venetian Beads are perfect companions for our larger Abstract Hearts. Use them for your Venetian earrings or in Venetian bracelets. Handmade in Murano, they are made from the famous Moretti glass and feature transparent colors of Moretti glass over pieces of .925 sterling silver. 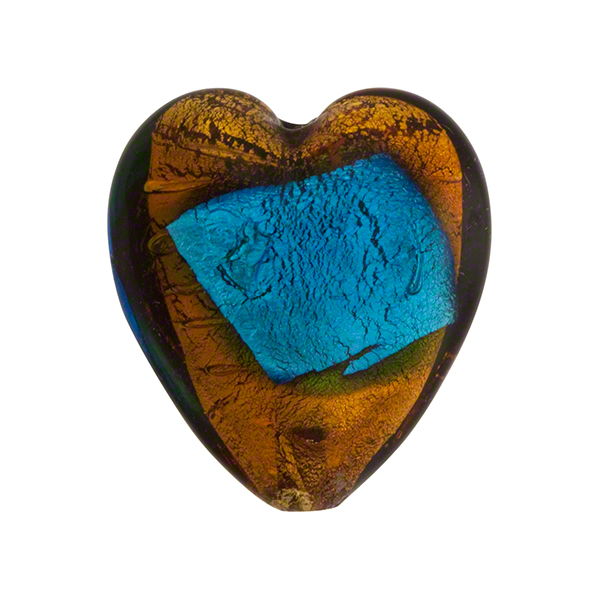 These Venetian Glass Hearts are approximately 21mm top to bottom with about a 1mm hole which runs vertically. The color in this one is a base of Topaz over sterling silver splashes of sterling silver encased in transparent Aqua glass.